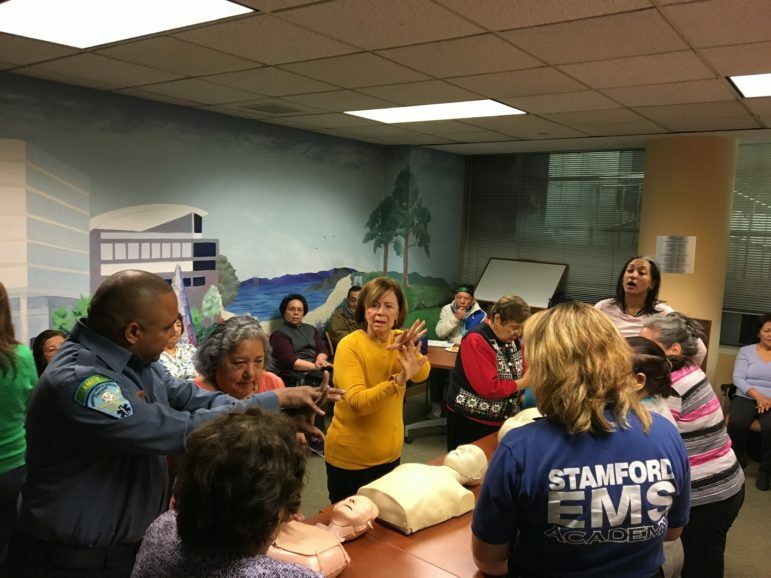 Stamford EMS and Stamford Health are teaming up with the Stamford Senior Center to present Spot-A-Stroke — a stroke awareness program on Friday, Feb. 8. The program will help attendees recognize the common warning signs of a stroke and learn the steps to take in an emergency. In addition to an interactive demonstration of hands-only CPR, exciting advances in stroke care will be discussed. The free program is open to the public and will take place starting at 11:30 a.m at the Stamford Senior Center, 888 Washington Blvd, Stamford. “In an emergency, knowing the warning signs of a stroke can lower the chances of brain damage, disability, and even death,” said Patricia Squires, Stamford EMS chief and CEO. Spot-A-Stroke, a free stroke awareness and prevention program and an interactive demonstration of hands-only CPR, will take place on Friday, Feb. 8.